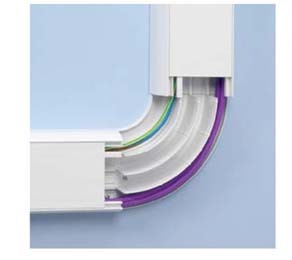 Consort Delta 105, with dimensions of 100 x 50mm is a single compartment uPVC trunking with a stylish profile. Delta 105 has been designed for use in power and high density CAT5e and CAT6 structure cabling solutions. 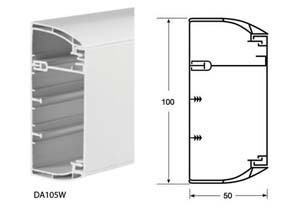 Delta 105 has a contemporary look and the trunking features adjustable bends and a multi-configurable tee.